Who Uses Aging Life Care Advanced Professionals? What are Some Indicators for Possible Intervention? How Can an Aging Life Care Advanced Professional Help You? Can Aging Life Care Advanced Professionals Provide Assistance with Other Populations? What are Some Unique Services Aging Life Care Advanced Professionals Bring to Their Clients? How are Services of an Aging Life Care Advanced Professional Paid? Do Medicare or Insurance Cover Aging Life Care Management Services? How Much Do Aging Life Care Advanced Professionals Generally Charge for Their Services? The Olive Group offers comprehensive concierge level Aging Life CareTM management services to families with elder care needs. 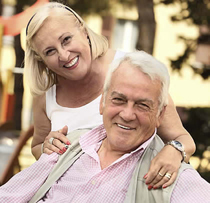 Aging Life Care Advanced Professionals provide comprehensive assessment, develop a cost effective plan of care, and help coordinate and monitor supportive services for the elderly. Our mission is providing families peace of mind. Click here and check out the coverage The Olive Group, LLC got in the newspaper! Copyright © 2015-2020 The Olive Group, LLC. All rights reserved. This website was created by Golden Slipper Productions.